All these gentlemen have attended many competitions and have played on different teams over the years. These years were singled out because all four members were on the provincial championship team. 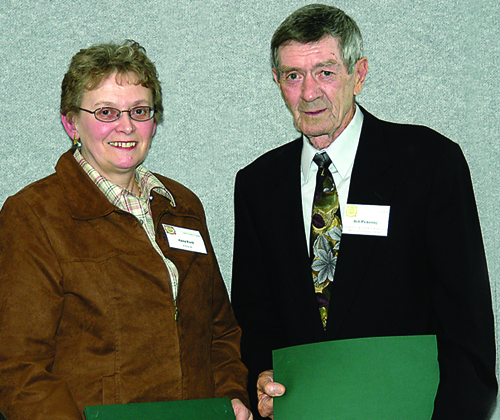 Bob Pickering attended 17 southerns, was in the provincial 10 times, winning 6 times, attended mixed provincials twice and senior provincials twice. 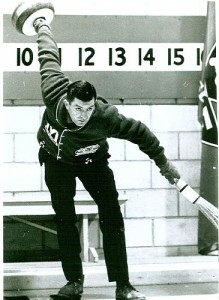 Gary Ford was Second for Bob Pickering at the 1968 Mixed Zone playdown and in 1974 and 1975 skipped a Mixed team at the Zone competition. Gary played Lead for Bob from 1968 to 1972 winning the Province 4 times and runner-up once. In 1971, Gary was All-Star Lead at the Brier in Quebec City. 1973, Gary played Lead for Bill Patterson at the Southerns and a few years later in 1983, skipped a team to the Southern playdown. 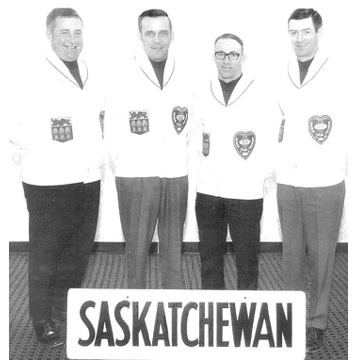 Garnet Campbell is an SCA Legend honouree for his 1955 Brier win. Garnet Campbell’s career is legendary. As a skip, Garnet has won provincial championships in Mens, Sr Mens and Master Mens competitions. The first curler in SK to do so. Jack Keys (1979) Bob Pickering (1974) and Garnet Campbell (1974) are enshrined in the Canadian Curling Hall of Fame.